PEMF Machine Buyer’s guide – Where to begin? Looking to buy a PEMF machine, but not sure where to begin? No worries, this PEMF buyer’s guide has you covered! Purchasing a PEMF device for yourself or your family is an important investment in your health and your future, but determining which system may be best for your individual needs can seem overwhelming. This Buyer’s Guide is not a marketing or sales tool. Our goal is to help you determine what parameters to focus on while you are doing research on your PEMF purchase decision. The first and perhaps most important thing to know when sorting through all the PEMF information available is that there is not one “best” system. This is not a one-size-fits all or even a one-size-fits most kind of technology. Taking a one-size-fits-all approach to device recommendations can not only lead to frustration and disappointment, but also waste money and prolong the suffering of the person making the (wrong) purchase decision. Dozens of PEMF systems exist on the market because there are many concept, design and feature differences. Of course, each manufacturer believes they have created the optimum system, and each will have a slightly different philosophy about what PEMF parameters drive the most change in the body. As a consumer, choosing the right system may be quite confusing and difficult. You should have a fairly clear understanding of what you want your PEMF system to do for you. You may want to consider not only your current circumstances but give some thought to what you might need it for in the future. Also, many people are purchasing systems not only for themselves but also for other family members, and even pets. At the very least you need to know whether it should be a whole-body system or a system that mostly provides local treatment. You should go into your research with the understanding that therapeutic PEMFs have been studied for decades. In many ways, the more we learn, the more we know we have yet to learn. PEMF therapies have a multitude of concurrent effects on the body – mechanical, chemical, electrical, and magnetic combined. There are a great many problems and conditions that will be positively affected by almost any type of magnetic field, regardless of frequency, waveform, intensity, coil configuration, or slope of the magnetic pulse (slew rate). A good resource for some of this basic information is in the book by William Pawluk MD, MSc, Power Tools for Health: how magnetic fields (PEMFs) help you. So, while there are many PEMF brands and options with a variety of parameters to consider, the most important considerations you can make before deciding on a system are personal ones: your health history, lifestyle, budget, and current health concern(s). Health considerations should drive the decision for a given device for a given condition. Are you purchasing from a reliable source? Do they have US-based customer service? Do they offer repair service? If the person you are purchasing from is a reseller, do they have a solid relationship with the importer or manufacturer of the unit they are selling? Do they work for a multi-level-marketing company? Do they have any medical or professional clinical training, or consult with someone who does? How informed are they about the science of PEMFs, other than for their own equipment? Are they familiar with and open to a discussion about other PEMF systems in the market? Can they tell you what their particular system cannot do? These are important questions to ask before you buy. There is nothing wrong with purchasing from a reseller, but you should make sure they are experienced, and can take care of your needs down the road—preferably addressing not only your PEMF needs, but considering your other health needs, too. Most companies require you to stick with your dealer for the long-term, meaning that if you need assistance with protocols, repairs, or warranty issues, the reseller will be your point of contact. Resellers do not necessarily need a background with medical or health training, but it can be a great help to deal with one who does have medical training, especially when it comes to proper protocols. Service should be one of the most important factors in your purchasing decision. Make sure you purchase from someone accessible – especially after the money-back guarantee or warranty runs out. In our experience, the most reputable products come with money-back guarantees. In addition, the factory warranty on these systems is important. PEMF units are electrical devices and can have problems just like any other electrical equipment. Find out where you will send the unit if you do have a problem, and ask about expected turnaround times for repairs, as some systems have to be shipped back to the manufacturer overseas, meaning it could take months for your unit to be returned. Find out if the party you’re buying from has a repair service in the US. There is no best device, but there is probably a best unit for you. You should be wary of anyone who tells you the unit they are selling is ‘the best’, especially if they tell you that before knowing what health conditions you wish to address. If there was one ‘best’ unit, life would be much easier, but managing health is rarely black and white and there are always trade-offs. Some problems or health needs respond best to high intensities and many do not respond to low intensities. Some conditions respond better to low frequencies, some high frequencies, and some need a wide range of frequencies. There is no best unit, but there is probably a best unit for you. Only someone with training and experience can objectively help you determine which system that will likely be. It’s even better if that person has hands-on experience with various systems. Someone who has only worked with one system is not able to make the best recommendation. Additionally, product comparisons are often misleading because they are not true assessments, but marketing tools. In these circumstances, a reseller, dealer, or marketer has created a table comparing and contrasting systems, but it has already been pre-determined that the unit they represent is the ‘best’ or ‘most complete.’ Look for fair comparisons, a rarity in this industry where most dealers and companies represent the units of only one manufacturer. As we said before, different pathologies will respond best to different frequencies and intensities. There seems to be a great deal of discord about which frequencies are ‘best.’ But remember, what is best for you, at this moment or for a particular problem, may not be best later or for a different problem, for your neighbor or other family member. If the unit does not work well for one person, it may still work exceptionally well for another, because of our vast biologic differences. Some companies promote that their products only have ‘earth-based frequencies’ which range from 1-32Hz. While this may be ideal for some health conditions, there are some conditions that will likely not budge unless presented with a higher frequency, or a combination of frequencies. 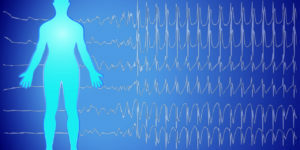 There are FDA-approbved systems that produce frequencies tens of thousands of times higher than those ‘earth-based frequencies.’ A general rule of thumb is that chronic problems will respond better to higher frequencies, and acute problems will respond better to lower frequencies. But even this is not absolute. Frequencies available in a PEMF system are one of the most important things to take into consideration when purchasing a PEMF unit. Your reseller should be knowledgeable enough to explain the difference between frequencies, and guide you toward the right system for your needs. Like frequencies, different intensities are used to treat different health conditions. First, know that the overwhelming majority of PEMF systems on the market are considered very low-intensity. Perhaps comparatively there are higher-intensity units, but they would not be considered high-intensity in the broad sense of magnetic field strength. An MRI machine, for example, produces a truly high-intensity magnetic field—between 10,000 and 30,000 Gauss—and we know them to be safe when operated properly. PEMF systems, in contrast, tend to top out at about the 10,000 Gauss range. Many do not reach even 1 Gauss in intensity, and can still be effective in the right circumstances. A good rule of thumb here is that the deeper the problem is in the body, or the more tightly-packed the tissues in the affected area are, the higher intensities you will need to see results in a reasonable amount of time. Now, a magnetic field will pass completely through the body, whether it is high or low intensity. The difference is the amount of charge the field will produce in your tissues as it is passing through the body. Higher intensity fields produce greater charge, thereby causing greater and more rapid change. 4. What’s the best PEMF Waveform FOR me? This is a trick question. The truth is, there is no such thing as a superior waveform. In fact, waveform matters little in comparison to frequencies and intensities. But some companies make a big deal out of waveforms, so let’s look at the facts. Many different waveforms have been studied and nearly every waveform has research proving it to be effective. The problem here is that there is virtually no research that has compared waveforms among different PEMF systems. All the waveforms used in PEMF systems (and there are many – sinusoidal, square, sawtooth, trapezoidal) have been found to be effective to some degree by the companies that produce them—by both their own research and research done by others. 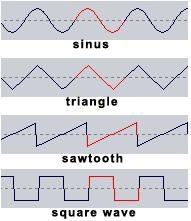 Various waveforms have been researched for more than 30 years, and while past and current studies are used to develop frequency and intensity programs, the choice of waveform is more of a philosophical or conceptual decision based on the manufacturer or designer’s take on the signal. The waveform is designed to deliver the intensity and the frequency. So, there is no perfect or optimal waveform, just as there are no perfect or optimal frequencies or intensities. Some PEMF machines have only one program. Some have multiple programs based on wellness states. Some have an ‘organ clock’ or ‘biorhythm clock’ as their programming guide. None of these options is better or worse than the next. Biorhythm clocks base frequencies on what time of day it is – they will be on alert in the morning and relaxing in the evening. But as we have said, some problems in the body respond best to high frequencies (read: alert), so you may sometimes wish to run biorhythm programs out of the order they were originally programmed. Additionally, condition-based programs (which have names like “Circulation,” “Relaxation,” or “Vital”) can be used to mimic where your brain would or should be at a given time of day. If you know what frequencies your PEMF system produces, you can choose the correct program for your needs – regardless of what time of day you are doing treatment. Additionally, some systems include suggested built-in condition or disease-based fixed programs or protocols. These built-in condition-based fixed programs or protocols can be helpful in some circumstances, but generally are not necessary. And, they can lock-you in to be only able to use one of these. Most systems that offer these condition-specific protocols have very little research to support their recommended settings. If a system produces only earth-based-frequencies, for example, a set of suggested protocols will be of little value, because the frequency options are already so limited. PEMF machines are not Rife machines; individual frequencies rarely apply to individual pathologies. Be cautious of purchasing a unit based solely upon the accessory options. Accessories for your PEMF unit tend to be limited to full-body systems. Depending on what you wish to treat, accessories can be either useful or unnecessary. Devices that have the option for sound and light machines, for instance, can be very helpful if your intention is to meditate or enhance relaxation. Some full-body systems have an optional pen applicator (also called a handheld probe). This is one of the more widely- used accessories, but its benefits can often be produced by the smaller pillow pad that is frequently included with these units. Handheld probes (pens) can be higher or lower intensity and have a “flashlight-like” magnetic field – very narrow at the probe-head and wider (therefore weaker) as you move away from it. Polarity has little to no bearing on pulsed electromagnetic fields. Dealers and re-sellers who make a big deal about their magnetic system switching polarity do not understand the fundamental basics of magnetic science. The concept of polarity is taken from the convention used to describe the Earth’s poles as North and South. This is confusing because there are actually two types of poles on earth – magnetic and geographic—and they are not situated in the same place. The geographic North Pole is a magnetic South Pole. It’s easy to see why confusion exists, so, to avoid uncertainty, scientists and engineers use the terms ‘positive’ and ‘negative’ instead of ‘North’ and ‘South.’ Switching polarity in a PEMF system simply means that the system is going to be changing the direction in which the magnetic field pulses, and therefore has nothing to do with a north or south orientation. But here’s the real kicker: unlike electricity, magnetic fields have no charge. Therefore, the terms positive and negative carry little to no meaning for magnetic fields. Gauss’s law of magnetism tells us that there are no magnetic charges. Instead, magnetic field lines neither begin nor end, but make loops or extend to infinity and back. One pole is not relaxing while another is stimulating. There is no good, reputable scientific research to support a separate action for each pole. Do not let polarity be a deciding factor in your selection of a PEMF system. The FDA registers items, and the FDA approves items. Do not confuse registration with approval. Often, companies tout their system as FDA registered, hoping that the customer will assume that means the same thing as FDA-approved. Truthfully, if a system is FDA registered, that means only that the FDA knows the item is being imported into the US. It is in no way a guarantee of safety or effectiveness. 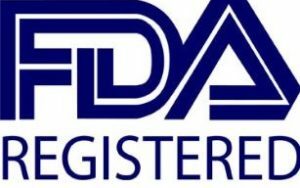 All PEMF devices imported into the United States must have FDA registration. So, no single imported device is better than another relative to FDA registration. FDA approval and oversight are not necessarily a guarantee of value or safety, either. The FDA approves many drugs that subsequently must be withdrawn for safety reasons. FDA approval simply means there has been some level of research to support claims of safety and effectiveness. That being said, there are some FDA-approved PEMF devices, so we know that the FDA does approve of the use of electromagnetic fields for therapeutic use. Furthermore, most PEMF manufacturers do not want to be FDA approved. You read that correctly; they are not seeking FDA approval. There are many reasons for this, including the high price tag associated with seeking FDA approval. FDA approval also comes with the stipulation that the product be used for specific conditions. Because PEMF devices treat us at such a basic, cellular level, choosing only one health condition would be a disservice to both the brand and the consumer. Additionally, PEMF systems are, first and foremost, wellness devices. It is not medication. A magnetic field acts on the most basic of biological functions – the cellular level. It’s more physics than medicine. Higher-priced PEMF units, usually full-body systems, often have rental programs that allow you to experience the unit before you purchase it. Make sure the rental program is a reputable one, though. You need enough time with the system to be able to make an informed decision. As we said before, low intensity systems will likely take a bit longer to produce results, so it would make sense that low-intensity units have longer rental periods. Compare and contrast rental programs to get an idea of what is fair. Make sure the rental program is a reputable one, though. You need enough time with the system to be able to make an informed decision to buy. There is a huge difference in pricing for PEMF systems. Units intended for use at home can range from $350 all the way up to $14,000 and well beyond. Full-body systems will cost more, but they also treat more of the body. 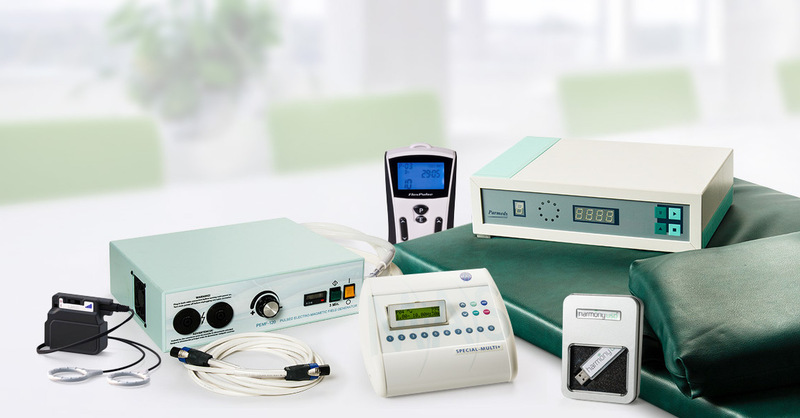 The true value of owning your own PEMF system is that it is a one-time purchase that can be used for you and your entire family in the comfort of your home for years to come—there are no refills, no co-pays, no need for each family member to have a different system or the need to take time off and travel to get treatments. Systems are not consumable. Even pets and plants benefit from PEMF systems. When computed over the lifetime of the magnetic system, PEMF units have an exceptional price per day value. This is made even better considering that multiple users can receive regular benefit. What you are paying for is quality construction and quality service. These things are equally important. Often, people make purchasing decisions based on affordability, so the best PEMF system for their needs may not be available to them. In this case, it will likely take longer for benefit to be achieved, resulting in increased frustration because needs may not be met as expected. Patience will be required in these circumstances, and greater value should then be placed on the amount of support your reseller or dealer is able to provide you.